The heavy duty 130 degree hi-res CCD RV backup camera comes with automatic night vision LEDs, and is completely weatherproof. The CCD lens is the clearest and highest quality camera TadiBrothers sells.The RV Box camera Has a 130° Degree viewable angle, its waterproof and has auto night vision. The camera is THE MOST durable we have, with incredible adjustability and night vision clarity. The RV Box camera has a metal sun shield visor to protect you from glare and pebbles. 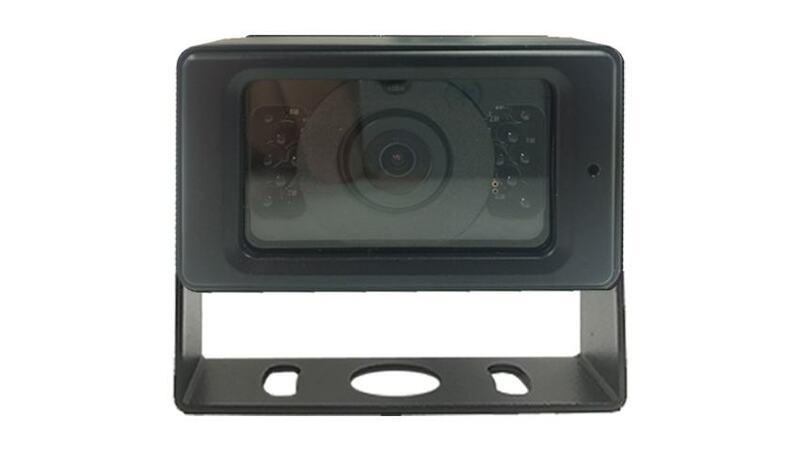 This is by far our toughest built backup camera, it can be pounded hard and still operate without issue. Like our other cameras, It has been regularly used in cars, vans, buses and even industrial sized caterpillar trucks, operated in the harsh oil sand of Canada. This backup camera can take a direct hit from a rock and it will still work like new. The camera has an IP rating of 69K and has a built in microphone as well for audio.